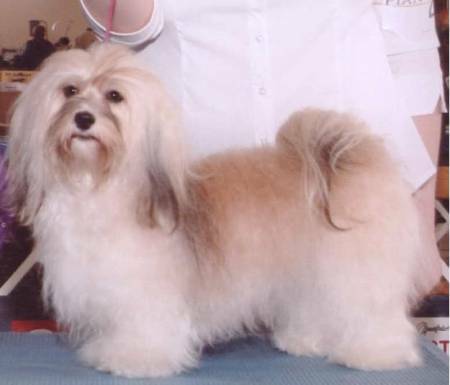 AKC & INT'L CH Happy Paws' Majical Savannah Sunrise - "Savannah"
Finished with 5 majors all owner-handled. She has excellent movement, a perfect topline and a gorgeous face. She is very typey and structurally sound. Such a clown, just like a havanese should be.